The building which houses the Upper School at Poughkeepsie Day School is steeped in creativity; Thomas Watson and early IBM inventors once worked in the basement, tinkering with ideas that grew into one of the largest and most successful companies in the world. It is only fitting that PDS took over the building in the 1990’s, and though they need some upgrades to the old buildings, the school’s strong Progressive Era roots and the creative insights of industrial explorers are both aligned with what we now call 21st Century skills. 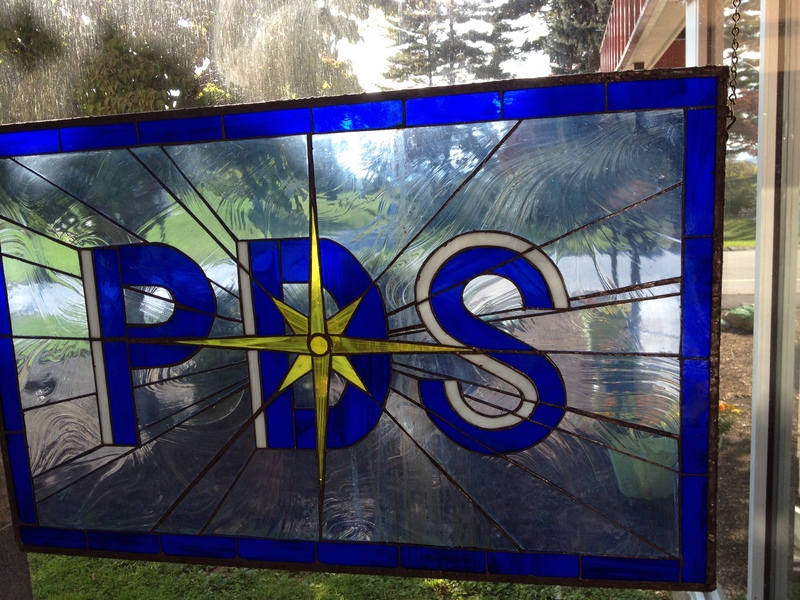 PDS is a relatively small PreK-12 co-ed school with about 300 students. I will say right off that this is not a school with large financial resources. The Hudson River Valley was hit hard in the recession, and the school has stuck to its mission of a truly progressive education, which means it is not for every student. What struck me is the enormous amount of program selection and student opportunity that Head Josie Holford and her team have been able to create and maintain, even with quite limited means. This is good news for the rest of us; they are a model of how to offer programs that are highly attuned to the needs of the individual, create 21C-focused curriculum (mostly because they never forgot their Dewey roots), and do it with limited resources. No letter grades; student evaluations consist of comprehensive narratives which identify habits of learning. College counselors prepare a summary of the narratives for admissions officers. Students do take SAT or ACT; generally PDS students are accepted to colleges which would be real reaches based on their standard tests alone. PDS accepts a wide range of students; ERB scores are not a main factor. No AP’s. They do offer lesson plans called “advanced topics” if students are eager and able to proceed to higher levels; these sound like advanced tutorials at other schools. PDS has had a very creative schedule since their founding which includes long interdisciplinary blocks of time; this is their “core curriculum”. In every 8-day cycle there is one full day for intensives, which can occur on or off campus. As they described it to me, they have a mini-interim session once each cycle. On all of the other days, periods are 80 minutes. They constantly talk to students to understand how their personal interests intersect with curriculum through the lens of these questions. PDS has a problem, which is very real, but also is at the core of their success. Because of their flexible approach to time, and because they truly want to engage students where they are, they are offering a LOT of course opportunities. The “problem” is that the faculty eagerly takes on the extra work, and in some settings this could lead to burn out. They have a remarkable commitment to this method of learning. Teachers take on more work, and there is never an argument about equity of time or teaching loads. From a financial point of view, therefore, they are doing more with less based on a true collegial and collaborative commitment to the methods of a progressive program. Kindergarten: partnership with a local farm to learn about food, economics, science, and types of work; students go out to the farm, work, and bring food back with them to school. 1st grade: students survey and interview shop owners and residents along Market Street in Poughkeepsie to learn about how a city uses resources, what makes a community, and the connection between the economy and jobs. 2nd-3rd grades: like some of the NYC schools, they are involved in an extensive program to study the Hudson River and collect longitudinal data on the health of the system. All School: Weekly “choice time” where students of mixed ages work on projects or subjects of their choosing, and the students help lead the courses. I talked to one confident 7th grade boy who had just taught iMovie to his group-mates and they were going to each show a one-minute movie they had made. 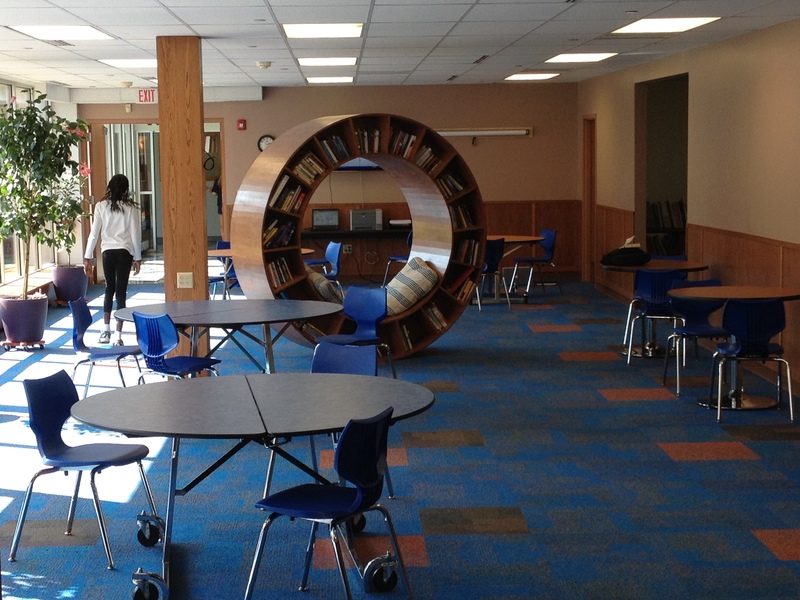 Middle School: they have just renovated a hallway and expanded it to make a wonderful common area off of all of the classrooms. Students can study or meet in this common area. 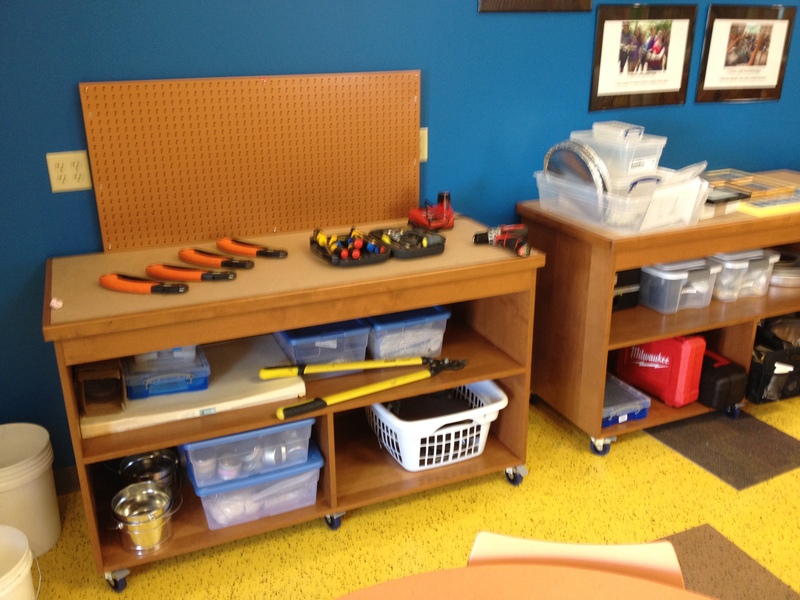 They also opened the Da Vinci room, which is a place where students, materials, tools, and resources come together for creative tinkering, much like the idea behind the Fab Lab at Marymount that I reported on last week. After school let out I had a chance to talk with some of the faculty. One Middle School humanities teacher has gone paperless in her classroom, and her students have a class blog, wiki, and Twitter accounts. At Open House last week, she led the parents through opening their own Twitter accounts and sending out their first Tweets. The teams are asking questions, engaging in research, reflecting, focusing on key areas that will differentiate learning, finding out what is possible, and then developing constructs that work for them. As one member said, “We now have big conversations that can go somewhere”. Think about what those teams are set up to accomplish. They self-generated the big questions that resonate with their mission, and have a mechanism to go from questions to solutions. Boom: innovation. They are not buying a canned solution; they are working the problem. Great process, great examples for others to follow, great little school in the Hudson River Valley. Grant, I have been following your journey with some of my colleagues and am interested in visiting schools that have Upper School schedules indicative of various pedagogical approaches. Poughkeepsie Day School and Hawken have schedules that are clearly outside of the traditional short blocks. Have you come across many schools that blend short and longer blocks to address varying pedagogical approaches? Care to recommend a few to visit? I enjoyed reading your account of our school — Poughkeepsie Day School. I am on the high school faculty. I want to add to your list of interesting grade level programs. In the high school, we have an “intensive study” program that affords students and teachers a chance to spend almost a full day engaged in one course. We also meet for an additional 80-minute block at another point in the cycle. 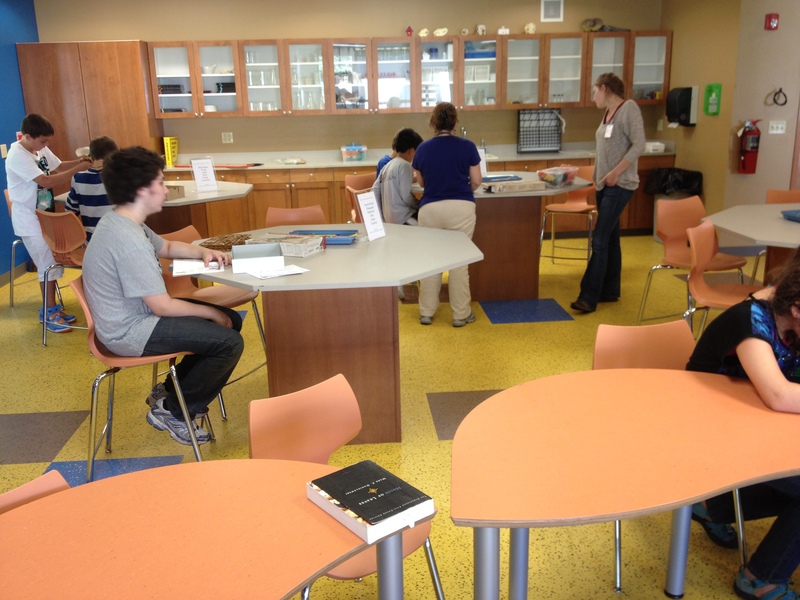 I’m glad you got to see the newly renovated middle school space — really neat! Thanks for adding to the conversation, Karen! Hi Grant, Nice meeting with you on Friday. I think the “problem” you identify: faculty deeply connected to the myriad projects they engage in with students, can be understood by applying Daniel Pink’s lens of motivation. As he argues in Drive, “mastery, purpose and autonomy” go a long way towards making professionals feel engaged and motivated by their work. I feel sorry for those schools where this would lead to burnout. Is our approach different from the other schools you have visited? Not always, but the commitment Josie talked to me about is rare and yes, would raise issues of equity and piling on at other private schools, and would be out of the question at most publics, in my opinion.